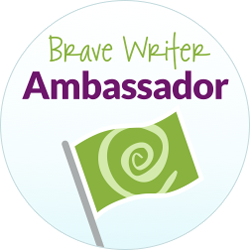 Today, my guest contributor is Misty Bailey from Joy in the Journey. 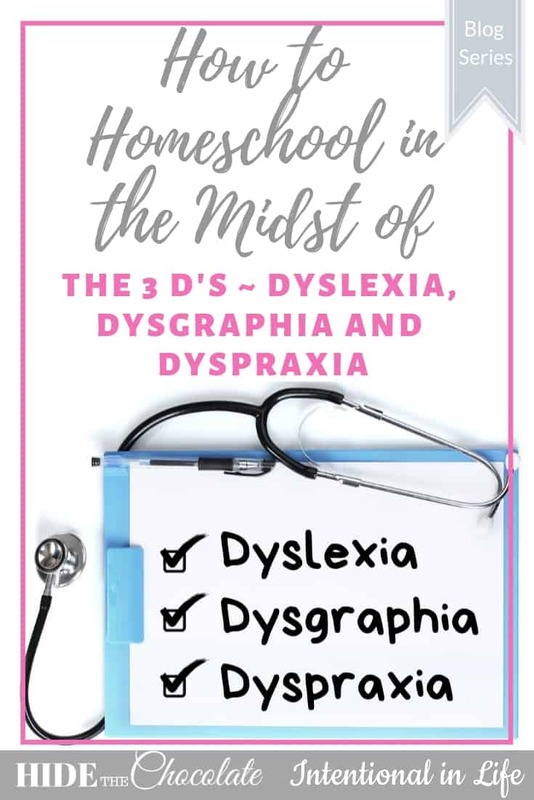 She is sharing her family’s story of how they have learned to homeschool and thrive with the diagnoses of dyslexia, dysgraphia, and dyspraxia. Homeschooling special needs was a label that I heard a lot when I began blogging. I saw all the articles encouraging people that they could do it. I even had a guest post from a mom on the topic on my blog. BUT, it is a title I never thought I would have. My girls were the picture of perfect learners. They made homeschooling look easy. I saw a few of those special needs moms at a co-op and followed a few on social media. In my heart, I knew I could never do THAT. It was too hard. I was happy that they were able to homeschool special needs but also thankful that I didn’t have to. And then, along came my son. From a young age, I knew my son struggled with learning. The first thing I noticed was his speech. I began trying to obtain speech therapy when he was the age of two. However, each time I tried, a door was shut. Our insurance wouldn’t cover speech until he was school age. He wasn’t “behind” enough to obtain services from the local preschool, Head Start, or REACH program. So, we worked with him at home. I purchased apps, watched videos, and did all I could to help him. At around age four, he was still 70% unintelligible to most people. This, of course, led to him being “behind” in other areas as well. How can you learn letter sounds if you can’t say them? But, I also noticed he was having additional difficulties that I didn’t think would be related to a speech issue. Like he was struggling to learn to write his name, and at least 50% of everything he wrote was backward. Drawing simple shapes was harder for him than it was my girls or daycare kids. And even though I could see he really wanted to learn, there was a wall up, and he could not get through it. I knew something else was going on, so, I reached out to an old friend who I knew was a speech pathologist. She evaluated him, and we arranged private speech therapy in our home. Even with a discount, the cost was a huge hit to our budget. But, we knew he needed it. At this point, I had in my head diagnosed him with Auditory Processing Disorder. She suspected the same, but also mentioned to me a few times that his symptoms were very similar to Dyspraxia. At the time, the only child I knew with Dyspraxia was almost non-verbal, so I dismissed her concerns. In order to be evaluated for Auditory Processing Disorder, you must be at least six years old. We had his evaluation scheduled for the day after and I just KNEW I was finally going to get the answers we needed. However, I was floored when I left there without any answers and instead more questions. Long story short, he tested negative for Auditory Processing Disorder, and the office suggested we have him evaluated for ADHD and Dyslexia. It was another six-month wait to get in for those evaluations. I began making accommodations for my son related to Dyslexia and ADHD. Each accommodation we made to this point had helped a little. But, not the progress we would have hoped to see. Homeschooling was becoming more and more of a frustration for my son. He began feeling like he couldn’t do anything. I noticed kids were starting to ask why he talked like a baby, and more and more people were questioning the fact that he couldn’t really read. He was still making simple mistakes spelling his name, and his phonemic awareness was virtually zero. As our reading evaluation date approached, I became more and more certain that something was going on beyond just ADHD (which I had suspected and the diagnosis was not shocking, I shared about our ADHD story here). I just couldn’t grasp what it was. But, I wasn’t prepared for what I found out at that session. After a six month wait, our evaluation at the Cincinnati Reading Center finally arrived. I was a nervous wreck when I saw my son walk away with this specialist and placed in a room behind a large glass window. I was told he would be evaluated for up to three hours with a couple of breaks. It was going to be a long day. I texted my mom that this lady was anti-homeschooling and I just knew the day was going to be awful. First of all, I want you to know you are doing an amazing job, and you have one of the sweetest boys I have ever met. Not exactly the words I expected, but at this point, words that I needed to hear. Then she went over everything she had found. I was handed a stack of at least 25 papers full of words I didn’t understand. My son, my bright and vibrant little boy, was diagnosed with Dysgraphia, Dyspraxia, and Dyslexia. All on top of ADHD. And that woman was one of the most wonderful people I have ever met. She took so much time with my son. And me. He is in the BEST place possible for him. And you know what? He is! I left that office feeling better about our homeschool. I left with a list of resources that could help, and an idea of where to start to make a plan that would fit my son’s needs. We had a diagnosis. But, more than that, I had HOPE that I could help him succeed. Once your child is diagnosed with one or more of the 3D’s you may go through a period of disbelief. You may struggle and wonder if your child will ever read, or speak correctly. You may ask if your child will make friends, or be understood enough to have his needs met. I know. I went through all of those scenarios over the years. And guess what? He has done fine! If your child has Dyspraxia, you will want to look into as much speech therapy as your insurance covers, or you can afford. A quality speech therapist will mean the world to you and your child. If your child has Dysgraphia, consider occupational therapy for help with fine motor skills. Ours has helped my son work on things like cutting, writing, and even tying his shoes. As a mom of a special needs child, we can only do so much for our kids. Outside help can be a huge blessing! If your child has Dyslexia, begin looking into reading tutors or other resources for children with Dyslexia. This has been the hardest area for us because to get a solid reading tutor we have to drive over 2 hours away. 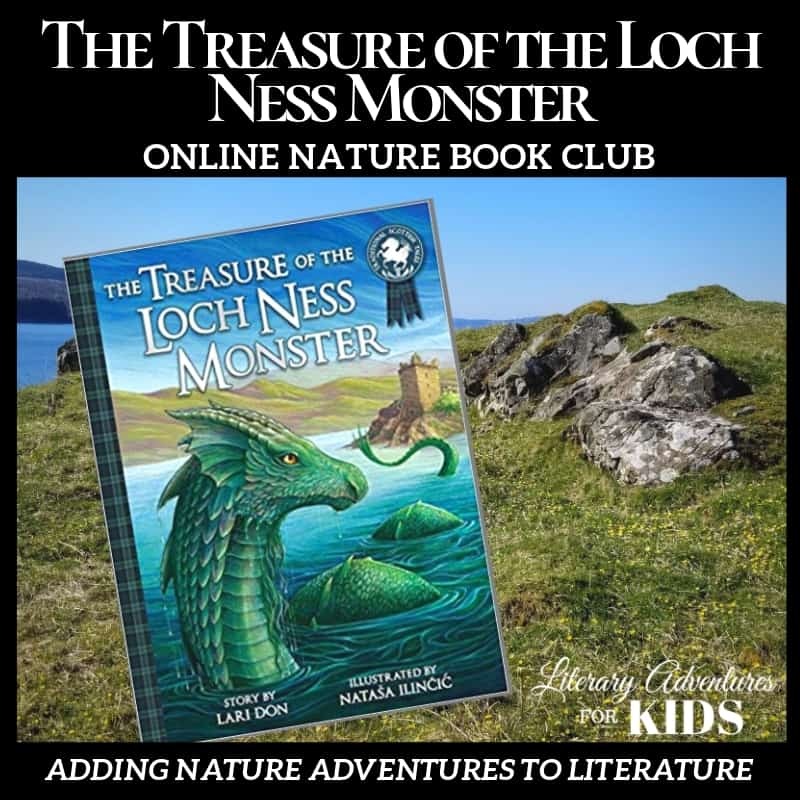 Instead, we have used resources like Nessy to help with my child’s reading. Typical dyslexia programs haven’t helped because of his other needs, but they are great if they work for your child. These include Orton Gillingham and the Barton program. In some areas, your child may qualify for assistance from the state, the school district, or another organization. I know in Ohio, we utilize the Jon Peterson Scholarship to help pay for our in-home therapy. This required an IEP from our local school district but was well worth the effort. Find out what, if any, resources your state has to offer. Because of my son’s diagnosis, we now have speech services covered in the home twice a week, out of the home once a week, and we have also started occupational therapy. What I first thought was just a speech disorder is so much more. Dyspraxia affects his speech, but also his fine motor skills, his concentration, his ability to make eye contact, and so much more. His struggles are compounded by his ADHD, Dysgraphia and possible Dyslexia. The more I learn about each of my son’s diagnosis, the more I see how difficult life is for my boy who struggled to find his voice. But, I have also realized that homeschooling (like the evaluator said) has been the BEST choice for my son. If he was in public school, he would get speech therapy 2-3 times a week for 20 minutes at a time. One of those would be in a group setting. At home, he gets 3 sessions a week for an average of 30-45 minutes at a time, and it is all one-on-one. Because he is home, I see what his therapists are doing with him. I continue working with him outside of therapy. I know what I am doing because I have seen it modeled by his therapists. We have been able to tailor his education to fit his needs. In public school, he would use the same reading program as the other kids, the same writing program as the other kids, and none of those programs would take into account the other needs he has. My sons IEP says on it that his accommodations would include one-on-one intervention two times a week if he was in public school. Because he is homeschooled, he gets that one on one intervention every day. He also has more confidence and a stronger voice because he is homeschooled. His needs are always met. He doesn’t have to worry about whether or not someone else can understand him. His struggles are met with love. They are met with one-on-one intervention. I have seen homeschooling with the 3D’s work. And, I believe in it. Ask for a break. Don’t feel guilty about this. Swap with another parent, leave when your husband gets home for an hour or two. Take time to get away. Educate yourself. There are some amazing podcasts and books out there for homeschooling with special needs. Some are listed in the resource pages below. Implement a quiet time for your child. Yes, even though they may be too old for nap time, they are not too old to rest. Have them sit in their room with an audiobook, draw, or play an educational game for 30 minutes (minimum) a day. 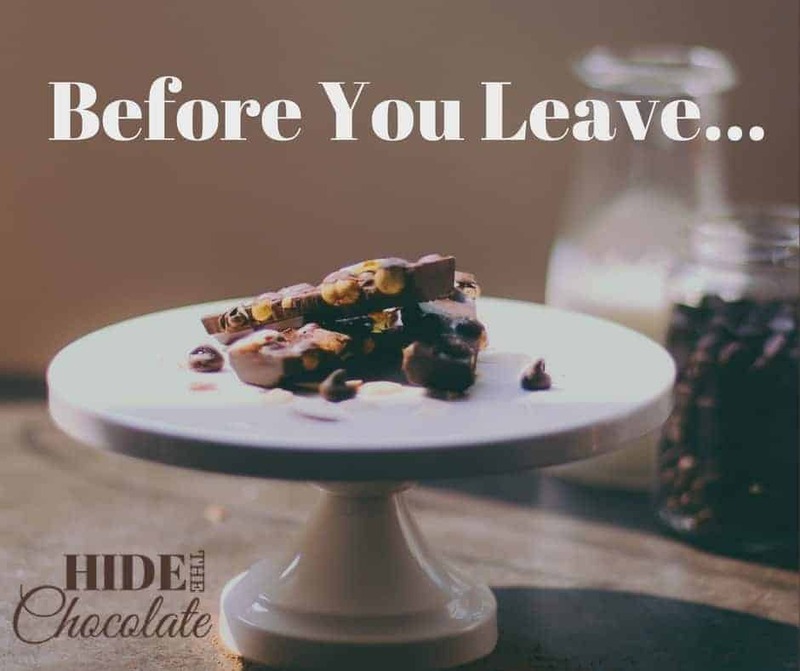 You need this quiet time after homeschooling. Believe me. Take time for yourself each morning. If you have a child like mine who gets up at the crack of dawn, remind them to stay in their room until a particular time. For us, it is at 7 AM. I showed him what that looks like on his clock at a young age. If he got up before that and interrupted my morning time, then he lost electronics for the day. Talk about your struggles, join a support group. There are many out there online. These groups have been a huge encouragement and resource to me. They remind you that you are not alone. There are other children out there like yours. Don’t feel guilty for being exhausted. Seriously. I had a mom recently who felt bad about asking to be moved out of her child’s class at co-op. After she confessed her feelings, I hugged her and told her it was okay to need a break. And she did. No mom should be made to feel guilty for it. Again, parenting a child with special needs is exhausting, and as homeschool moms, we are responsible for a lot. Take the time to care for yourself. Otherwise, you will NOT be able to care for your child. The 3D’s do not rule our lives. It is one part of our children’s story. But, it is not the whole story. Our children are beautiful. They are wonderfully made. They have so many other strengths that are so much more than just a special needs diagnosis. If you feel overwhelmed by your child’s struggles, make a list of those strengths. Put it on your wall. Remind yourself of those strengths. When your child feels overwhelmed and discouraged, remind him of all the things he is good at. Let him know he is more than just a child with a learning struggle. He is loved. By you. By God. And he has SO much to offer the world. Homeschooling a child with Dyslexia, Dyspraxia and Dysgraphia is something I would have never thought I could do. But, guess what? I’m doing it! And you can too! This is day 17 of the Homeschooling in the Midst of Hard Things Blog Series. We are so glad you are here! Check out the rest of the series by clicking the banner below. 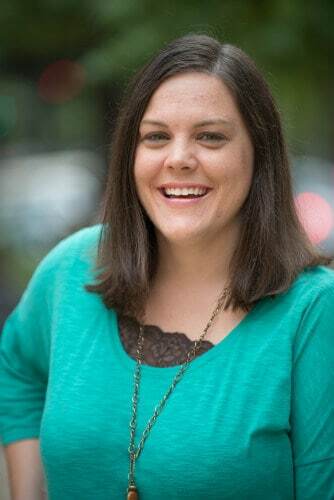 Misty Bailey is the blogger behind Joy in the Journey and the podcaster behind Joyfully Homeschooling. 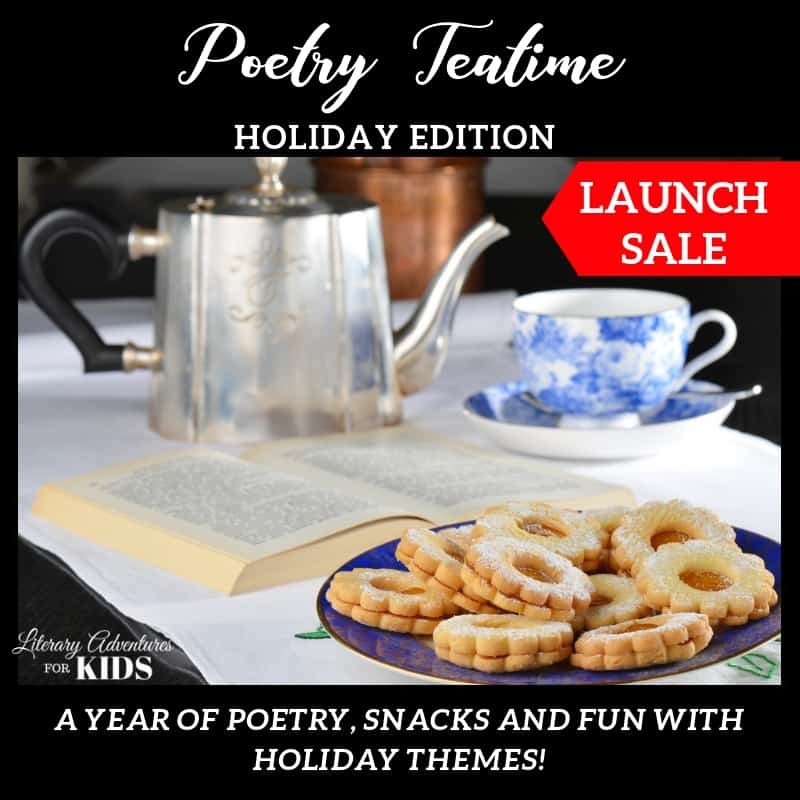 Her goal in this online space is to encourage and inspire you on your homeschool journey by providing practical tips for real life homeschooling. 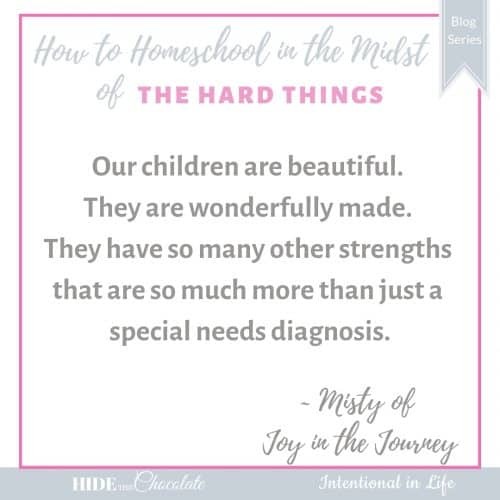 Through real stories, real struggles, and real life, Misty encourages her blog readers and podcast listeners to embrace imperfection and strive for a more joyful homeschool.